phone with several new great ideas. things I wasn't thinking of but needed to do.  development and success coach, I give her 5 stars!!!!!" want". Her encouragement has been invaluable. helps you see your most bright and shiny self achieving fantastic aspirations. be more, and that there has got to be a better way. There is! Dust off your dreams and go for what you REALLY want! ignites our soul and our life. make your life... I dare you! Go for your dream, make your difference... Live an Extraordinary Life! Are you ready to go for what you really want?